Although trained as an art historian, Jeff Wall has been working on his expansive photographic light boxes of staged scenes for more than 25 years. Using back-lit, photographic transparencies typically used for advertising display, Wall subverts their commercial association by filling them with quotidian objects. 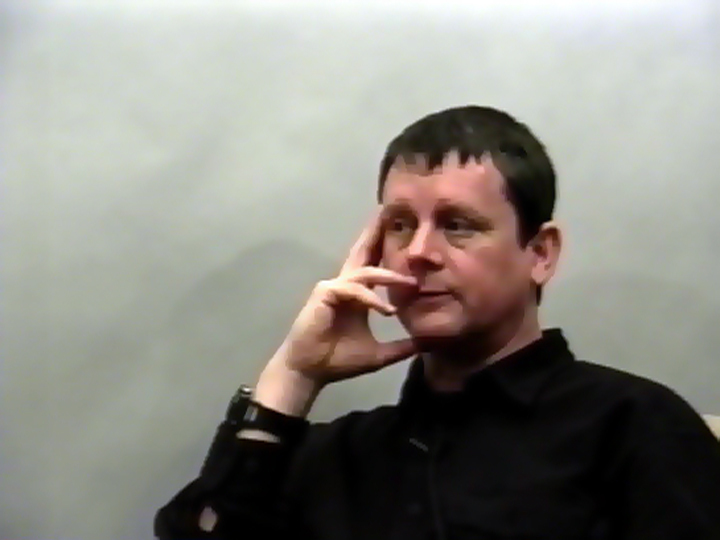 In this historical interview with scholar Lisa Wainwright he talks about his early experiences of art as a child growing up in Vancouver; how he became interested in photography and the relation of his work to minimalism, experimental performance and conceptual art; what made him begin to work with light boxes; and the use of children and people from different classes in his work. Wall goes on to discuss notions of ambiguity and narrative in his art through reference to specific works such as The Vampires' Picnic, The Stumbling Block and Dead Troops Talk. A historical interview originally recorded in 1999 and edited in 2007.